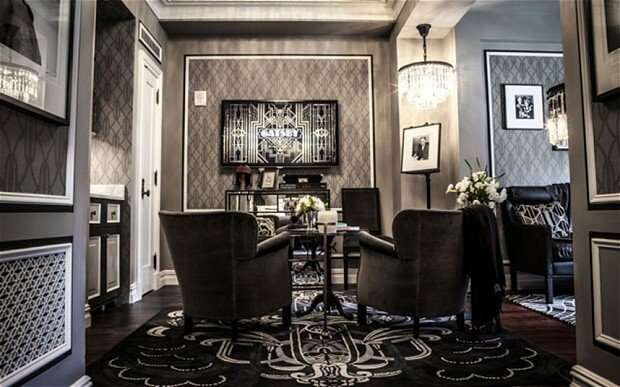 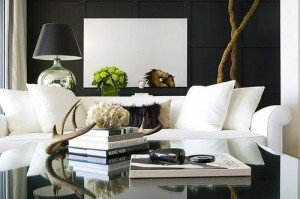 Modern, sleek and stylish, decorating a room in black and white can define a space and provide a great backdrop for unique pieces. 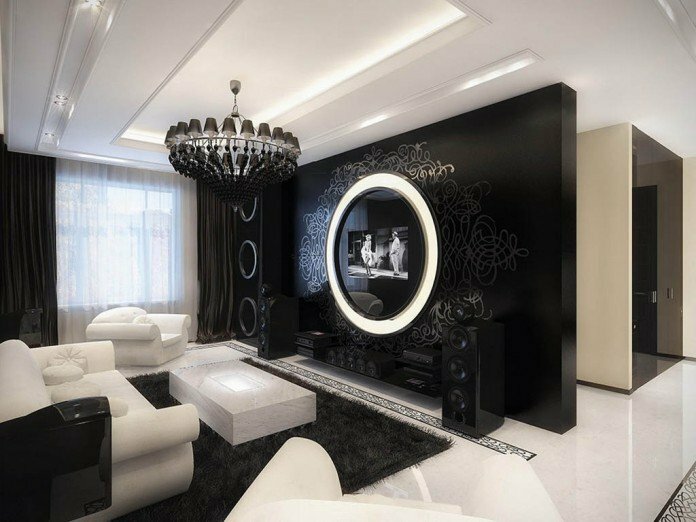 Black and white rooms can be dramatic or low key. 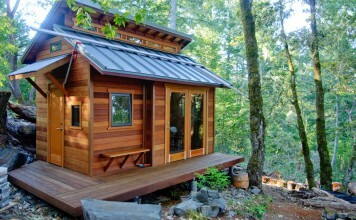 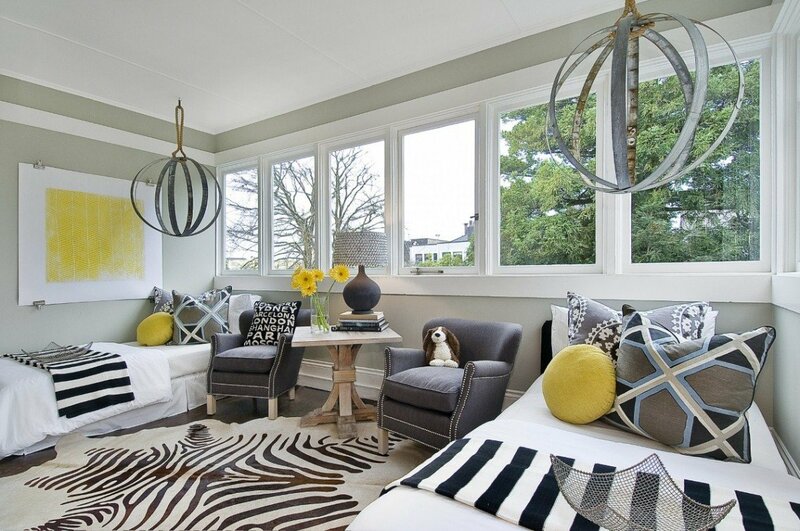 Another color can be added to the mix for a refreshing take on the scheme. 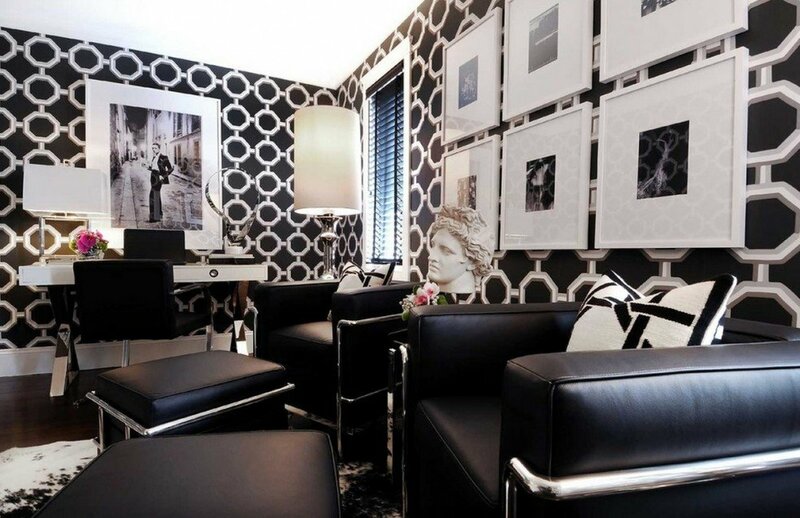 Decorating a room in black and white doesn’t have to be flat. Add depth with shades of gray or another color to accent the room. 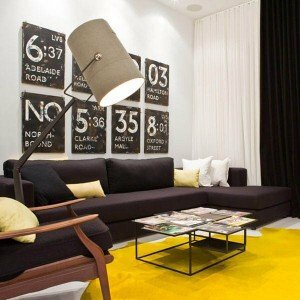 Bright green, yellow or red look great with black. 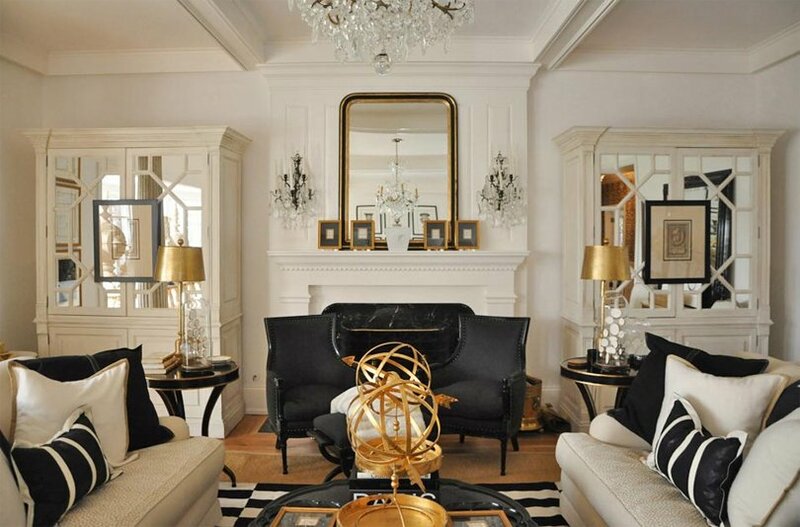 Add gold, silver and mirrored pieces for heightened interest and shine. 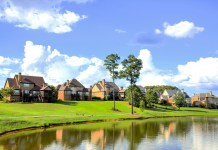 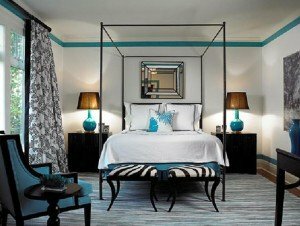 Incorporate pattern with wall coverings, upholstery fabrics and with rugs. 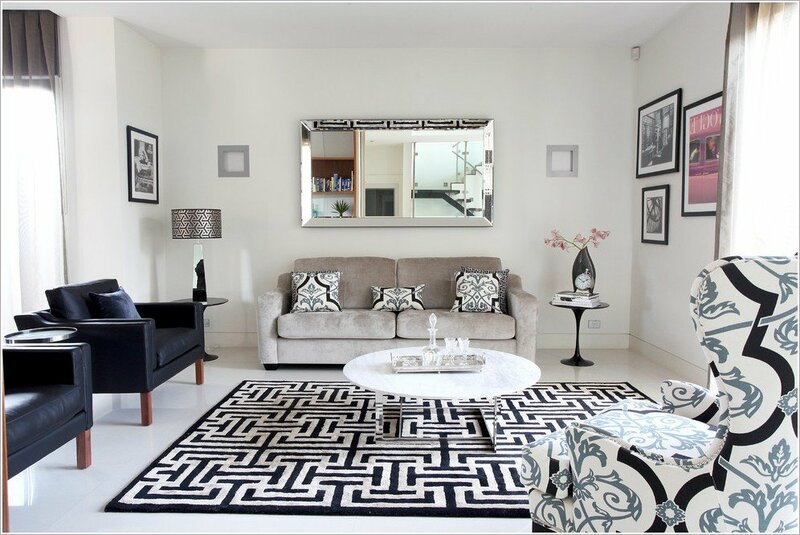 A zebra print rug is perfect for the black and white room. Infuse life into the room with a collection of black and white photographic prints or hang a brightly colored painting. 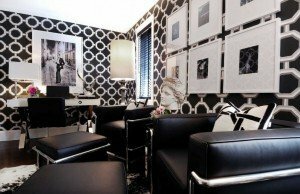 For a less bold look, go with small black and white prints on upholstery that will give the impression of gray on large pieces. Add touches of solid black on pillows and accessories or try bold patterns of black with splashes of color. A black bathroom is sleek and stylish. 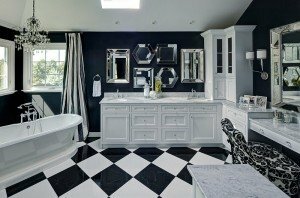 Paint the walls black to contrast with white ceramic sinks and bathtubs. 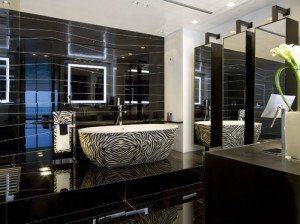 Install black marble floors or white marble with black diamond accents. 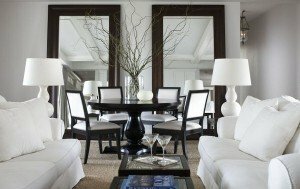 Go with chrome or polished nickel finishes on fixtures. 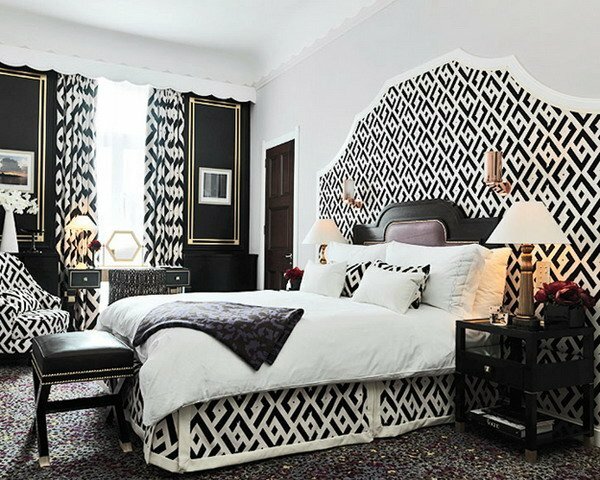 A black and white bedroom offers many stylish options, including a boldly patterned headboard or linens and sophisticated wallpaper. 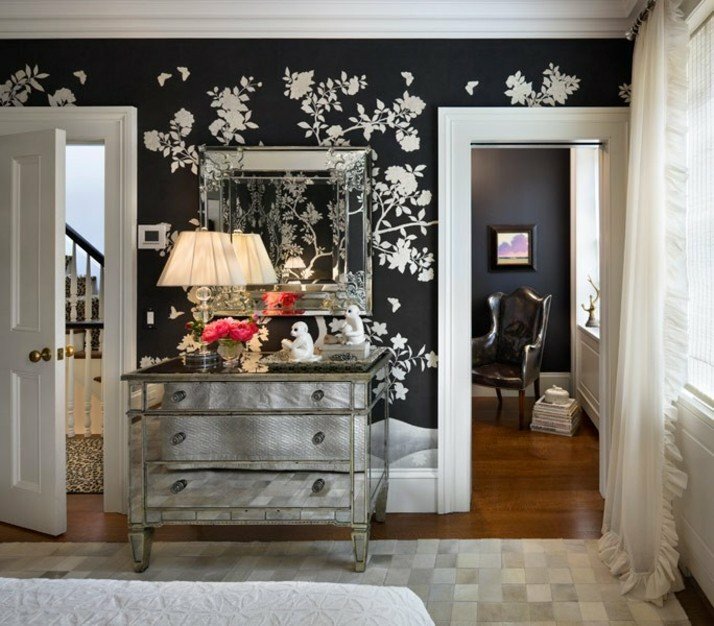 Accent the room with mirrored nightstands and a statement chandelier. 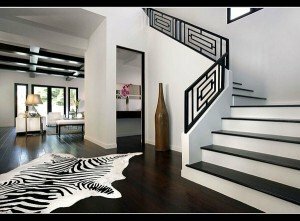 When decorating your home in black and white create a balance and add bright colors for maximum effect. 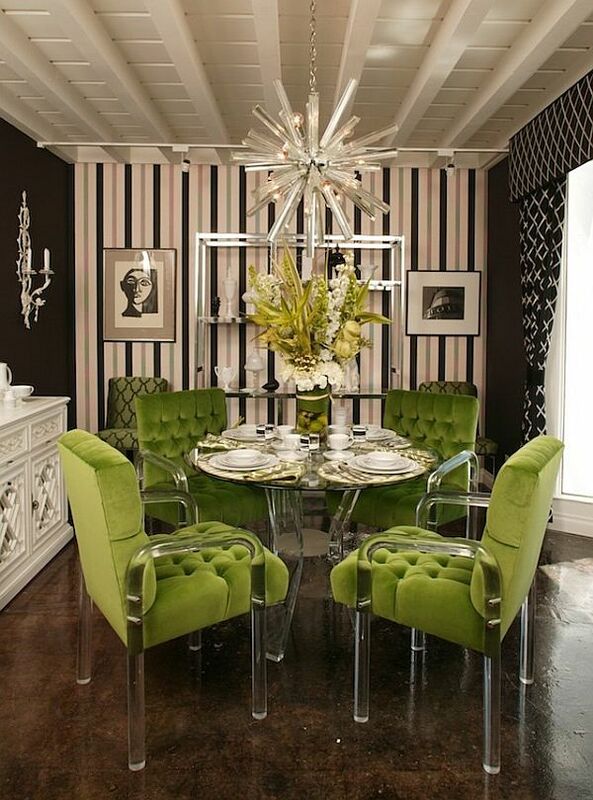 Add bold accessories and uniquely shaped furnishings for interest. 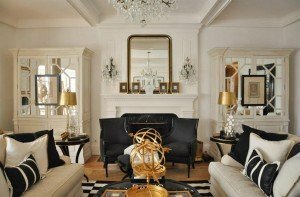 A black and white interior is sleek, sophisticated and stylish.